The University of Liverpool is a public university based in the city of Liverpool, England, UK. Founded in 1881, it comprises three faculties organised into 35 departments and schools. The university is ranked in the top 1% of universities worldwide and is a founding member of the Russell Group of research-intensive universities in the UK. The university has produced nine Nobel Prize winners, offers more than 230 first degree courses across 103 subjects, it has over 36,000 registered students and 4,700 staff including 1,300 leading researchers. The Operations and Supply Chain Excellence (OSCE) research group at the University of Liverpool Management School aims to both drive and support a contemporary business transformation agenda by making an original and positive contribution to the theory and practice of operations and supply chain management. Staff within the group work at a national and international level on a range of research themes. The integration of organisational and technological approaches to operations and supply chain transformation is conspicuous throughout the work of the group. OSCE is one of ten research groups at the University of Liverpool Management School. The group consists of 14 academic staff and 25 research assistants and graduate students. In recent years the group has attracted over £10M of UK and EC funding for research and business improvement activities, and has established close links with regional, national and international companies in key sectors such as automotive, aerospace, food, pharmaceuticals and logistics. University of Plymouth (UoP) is one of the most vibrant, modern universities located in the Southwest of UK with an educational history dating back to 1862. The University has over 3, 000 staff and 30,000 students across a wide range of subject areas including Business and Management, Biology, Arts and Design, Science and Engineering, Medicine and Healthcare. Surrounded by the beautiful countryside of Devon and Cornwall, the University has the natural advantage in undertaking high quality research in addressing sustainability, innovation, solutions, competitiveness, and transformation with excellent support from local, regional and national businesses in Agriculture/ Horticulture. Currently the Agency provides specific information and training actions directed at agricultural, zoo-technical and agro-food businesses and provides them with advice on modernization, upgrading and development in order to increase their production, value the quality of products and contain pesticides; Provides real and specialist services with regard to product traceability, crop protection, optimization of irrigation of corporate water resources and fertigation, and the spread of good agricultural practice. 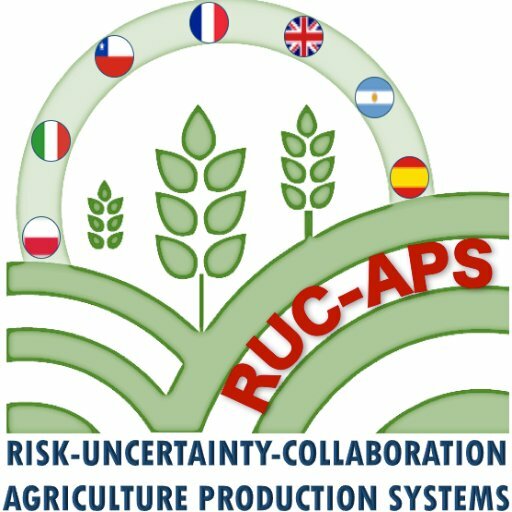 Implement and participate in projects of regional, interregional, national and Community interest in research, experimentation and commercial promotion of agricultural products, vocational training, territorial information systems, through the acquisition of patents and / or know-how of which it promotes ‘Adoption in the productive processes of farms; Promotes the valorisation of typical Lucan products, including through the use of biotechnologies introduced at the process stage, and assures technical assistance to companies and the support of organizational models that adopt quality certification systems within production processes in agriculture. The Institute of Sciences of Food Production (ISPA-CNR) is a centre of excellence, worldwide renowned, acting in the fields of scientific research, innovation and technology transfer aimed to improve safety and quality of agro-food products. By creating synergistic actions between scientific research and production sectors with the transfer of scientific knowledge, ISPA-CNR fosters technological innovation paths of small, medium and large national and foreign agro-food enterprises. In particular, in the field of food and feed safety, innovative methodologies for detection of mycotoxins, toxigenic fungi, microbial pathogens and allergens in cereals, wine, pasta, milk, baby foods, dried fruits, are being developed in national and international projects. Particularly noteworthy is the current coordination by ISPA-CNR of a large cooperative research project within the 7th European Framework Programme (with 25 partners) aiming to reduce mycotoxins in food and feed chains. In the area of food production, research is mainly aimed at improving food nutritional and organoleptic quality, adding value to typical local products (dairy, bakery and meat products, fruit and vegetables). Innovative lines of probiotic and functional foods using traditional products are being developed in cooperation with enterprises and regionally-based medical and health research groups to demonstrate health benefits. The Universitat Politècnica de València (UPV) is a Spanish Public University with 13 High Technical Schools of Engineers, 30 Bachelors and 60 Masters. The staff is more than 5.300 (2.700 teaching and research, 800 research and 1.800 administrative), with more than 38.000 students. In 2013 its budget was roughly 353 MEuro. UPV is very active in R+D Projects and contracts with private companies, the incomes in 2012 produced by these activities were 30 MEuro). The Research Centre on Production Management and Engineering (CIGIP) is at the leading edge on enterprise modelling, manufacturing planning research, particularly manufacturing assembly, distribution and service supply chain management research issues. CIGIP gathers more than 30 members including professors, associate professors and full researchers dedicated to teaching and research & development in different areas of Operations and Production Management. From 1994 the CIGIP has participated in several European and Spanish Research Projects and several research & development contracts with regional industrial firms from different industrial sectors. AINIA is a technology centre with the legal status of a private non-profit association, created in 1987 and formed by more than 900 companies mainly from the food sector, but also from environment and energy, packaging, chemical products, cosmetics, pharmaceutics and biomedicine sectors. AINIA belongs to the Spanish Federation of Technology Centres (FEDIT), the Network of Technological lnstitutes of the Valencian Community (REDIT), and to the European Food Institutes (EFI). Its mission is essentially to “add value to companies by leading innovation and technological development in a responsible and committed way”. AINIA counts with a multi-disciplinary team of more than 170 professionals: food technicians, agronomists, pharmaceutics, chemists, physicists, industrial and telecommunications engineers, biologists and other disciplines. Regarding infrastructures, it counts with 13.000 m2 of facilities, 10 training classrooms, 8 laboratories and 10 pilot plants additionally ainia has its own ICT infrastructure composed by 30 physical servers and 13 virtual servers at ainia’s data center including 3 additional dedicated to ICT department for development and testing. Its scope of work includes Food & Health, Food Quality and Safety, Design and Industrial Production, Sustainability and Consumer. AINIA’s areas of specific expertise are: Food Technology, ICT and Electronic Technologies, Environmental and Energetic Technologies, Chemical Technologies, Packaging Technologies, Biotechnology and Nanotechnology. The centre provides different services such as specialised training, R&D projects, technological assistance, analytical services, consulting and management support, technological foresight and support for industrial processes. One of AINIA’s five strategic units is the Training Unit, since the development of technical and management. FEDACOVA is the Federation of Food Industries of the Region of Valencia (Spain), bringing together 35 different Food Industries Associations, including the Spanish national associations of Ice creams and Tigernut Juice, Honey, Persimmon and Nuts, which in turn represent more than 2.600 companies. This means that more than 70% of all businesses in the food and agriculture sector of the Region of Valencia are part of the Federation. There are a number of companies which, due to their size or particular characteristics, are associated directly with the Federation. This broad spectrum means that all types of companies are represented, from fishing wholesalers to potted goods manufacturers, and from supermarkets to food storage specialists, encompassing the whole value chain of the Food Industry and a broad range of subsectors. FEDACOVA provides a wide range of services to Food Industries by means of its staff, formed by 8 professionals with high expertise in the Food sector including training; consultancy for the implementation of quality, environmental, health & safety and innovation management systems; promoting of internationalization; attendance at international trade shows and congresses; organization of sectoral events or productions of specific guides and manuals. FEDACOVA accumulates a big experience in the leadership and participation to R&D project at regional and national level. Recently, FEDACOVA has started being involved in European Projects as a logical evolution with the purpose of supporting the development of the Valencian and Spanish Food Industries. The team consists of researchers who have a very strong research record in data analysis, decision making, decision analysis, multicriteria, multiperson and multistage decision making problems, with applications in various areas, including regional analyses and regional development modeling. Moreover, the team has an extensive expertise in data analisyis and data mining Independent research premises? The Systems Research Institute is part of the Polish Academy of Sciences who is the owner of the facilities, notably the buildings but these facilities are made availably to the Institute. Located in the city centre, University Toulouse 1 Capitole (UT1C) is one of the three universities of the second largest university town in France and boasts an age-old academic tradition which goes back to 1229. The university is one of the founding members of «Toulouse Midi-Pyrénées University » which gathers the main academic bodies of the Toulouse region and coordinate some of their actions. UT1C is specialized in Law, Economics and Management, while it also holds Computer Science and Mathematics faculties. UT1C also has an « Institut d’Etudes Politiques » (IEP) which is a pool of expertise in political science. UT1C has a total of 15 research laboratories, among which IDETCOM (Institut du Droit de l’Espace, des Territoires et de la Communication), IAST (an excellence initiative on social sciences funded by the French National Research Agency – ANR). The research labs in Economics are forming the famous « Toulouse School of Economics (TSE). The University of Lorraine is in World Top 300 with regards to Academic Ranking of World Universities. The University hosts about 55 000 students and is structured with 61 research laboratories. One lab is the CRAN (Research Centre for Automatic Control of Nancy), Joint research Unit associated with C.N.R.S. (UMR 7039). CRAN is located in Nancy and is composed approximately of 235 members. One Research group at CRAN is focusing on Sustainable Industrial System Engineering in which the industrial systems considered are the “Intelligent Manufacturing Systems”. The research of this team focuses on new forms of automation (ex. Distributed control), production (ex. Product-driven; local vs. global Optimization), and maintenance (ex. Health management; E-maintenance). The research on sustainability of this research group will bring advances to the agricultural domain with a focus on new ways of collaboration between agriculture ICT systems for achieving systems performances and interoperability. The Institute of Agricultural Research (INIA), is the leading agricultural research institution in Chile under the Ministry of Agriculture. It has a national coverage through its Regional Research Centers, Laboratories, Libraries, and a staff composed of highly qualified professionals, allowing it to perform an adequate job as a research center serving the food industry, and perform direct service delivery. INIA has 8 National Research Programs, which highlights Vegetables Program whose mission is to generate and transfer knowledge on a global scale to produce innovation and improve competitiveness in the sector of fresh vegetables, semi processed and industrialized. National University of La Plata (UNLP) is a public university, located in the city of La Plata. The horticultural belt in the city of La Plata is the most important in the Buenos Aires province. UNLP participates in the current proposal through its Faculty of Informatics (FI) and its Faculty of Agronomical Science and Forestry (FASF). UNLP offer server clusters that can host the developed prototypes. Specialized equipment for research tasks on various topics regarding pant and seed health. A 64 hectares experimental station used for research and pedagogical purposes. ServiVerde is a family company, specialized in the production of sweet peppers, located in the horticultural zone of La Plata, in the town of Abasto. It also produces other crops for sale in fresh. Every year it produces a volume of more than 900,000 kilos whose destination is totally to the domestic market. It supplies peppers to the whole country. Since 1994 Riviera has supplied fresh produce direct to its’ customers from a purpose built facility near Hayle in Cornwall (UK), and was the first Cornish supplier to take this direct approach. Riviera Produce currently markets around 40% of the cauliflower and spring greens grown in Cornwall and in 2004 the company was listed as one of the top 100 fastest growing companies by the Sunday times. Riviera sources produce from 14 dedicated Assured Produce certificated growers with a geographic spread across Cornwall to assure continuity of supply. Riviera continually invests in the latest technology for planting, crop management, harvesting and irrigation equipment. This continual investment enables us to ensure the best possible quality and continuity throughout the year.